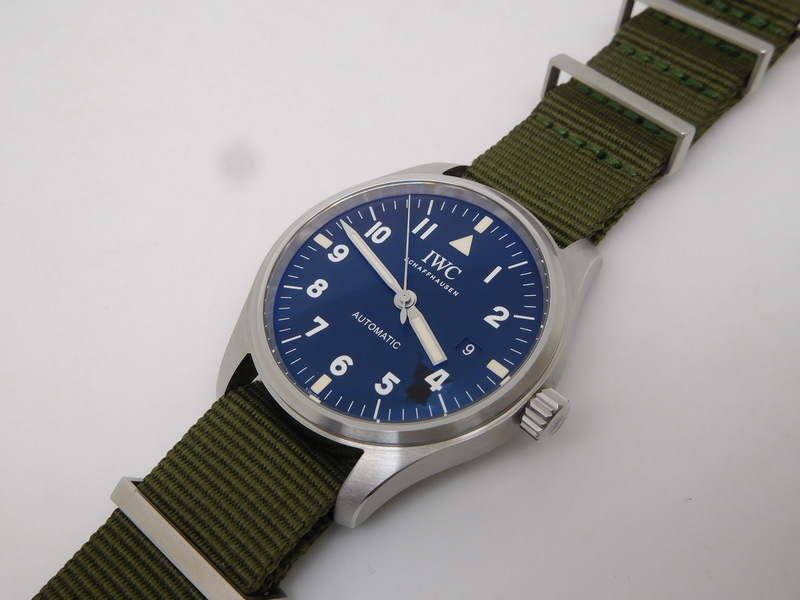 Green Nylon Strap IWC Pilot Mark XI Replica review! 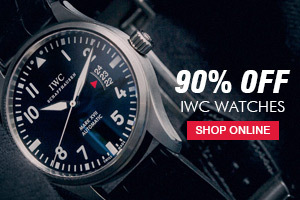 – Best Swiss IWC Replica Watches Review! 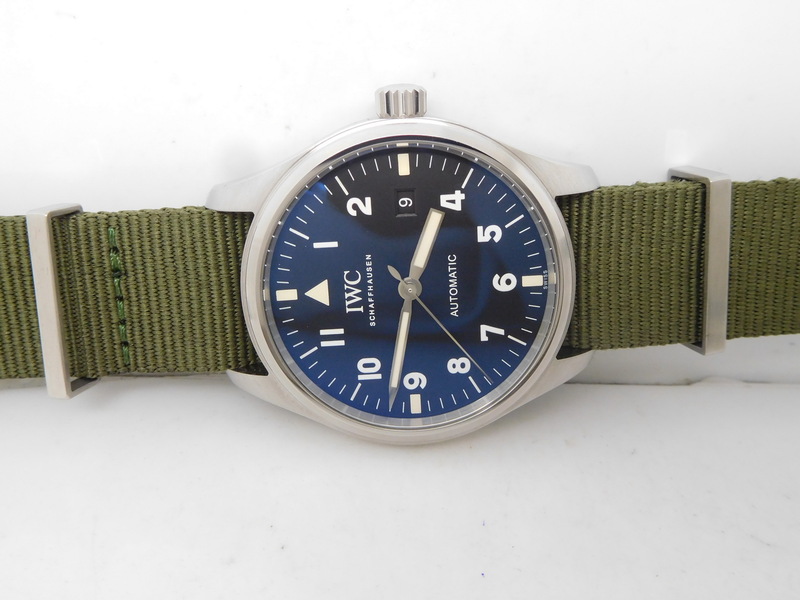 IWC Pilot always attracts me by their military watch outlook. 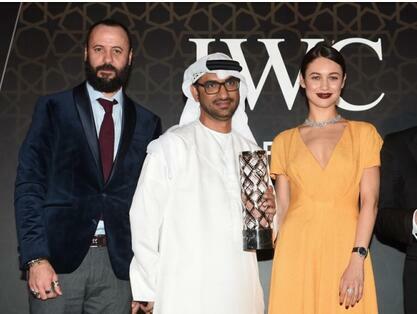 And among all Pilots watches, Mark series is the most popular. 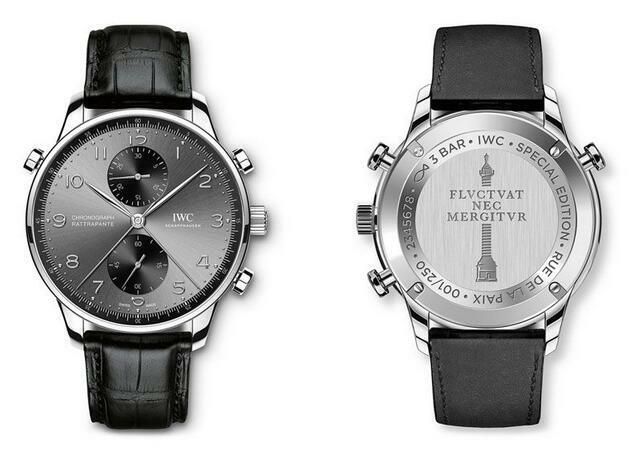 On our market, there are two main factories that are replicating IWC Mark watches, they are MK and V6. Maybe you have bought good quality ones from other small factories, but I have to say they are not in top quality, the best Mark series replicas must come from MK and V6. Actually one friend of mine introduced the Mark XVI replica made by MK factory before on his website at Biao.is. 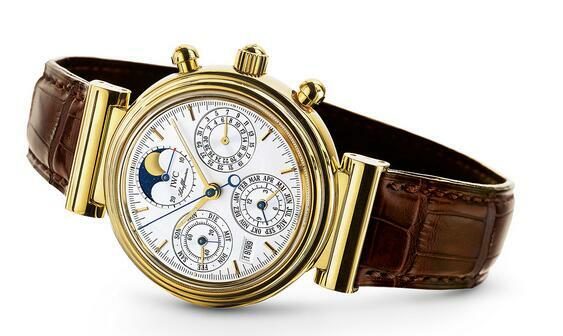 And now the watch has become a best seller once being introduced on his site. Besides Mark XVI, there are other models that are also perfectly cloned, including Mark XVIII and XVII. 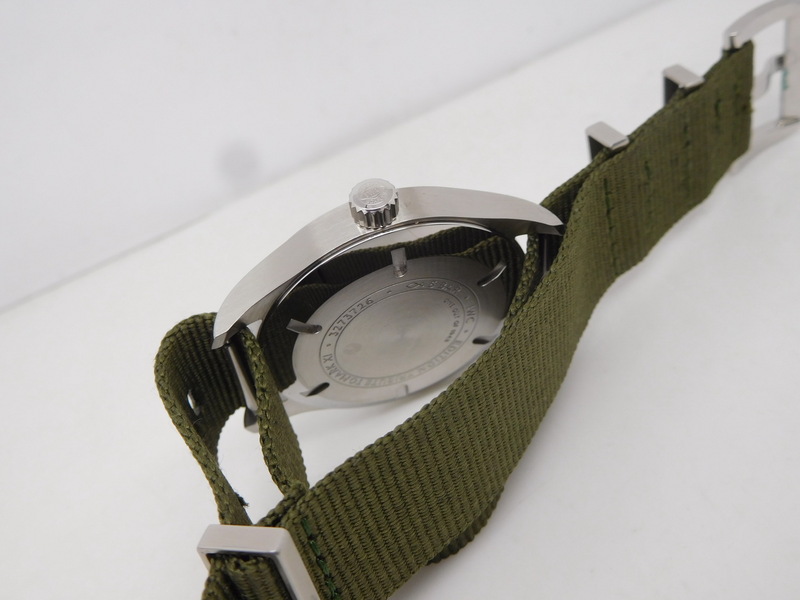 Today, I went to our watch market again, and found a new art work on the storefront of MK factory, it is IWC Mark XI, firstly I was attracted by its green nylon band. I love watches with nylon strap. When I checked it carefully, I found its dial design is distinctive, Mark XI has an unique dial that is different from other Mark models. 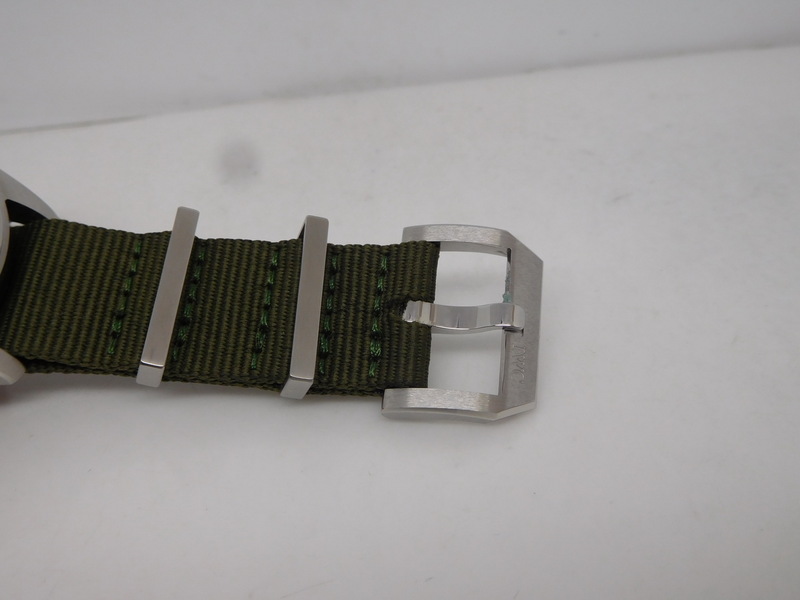 And the green nylon band and unique dial design make Mark XI so special among those watches in MK factory store. 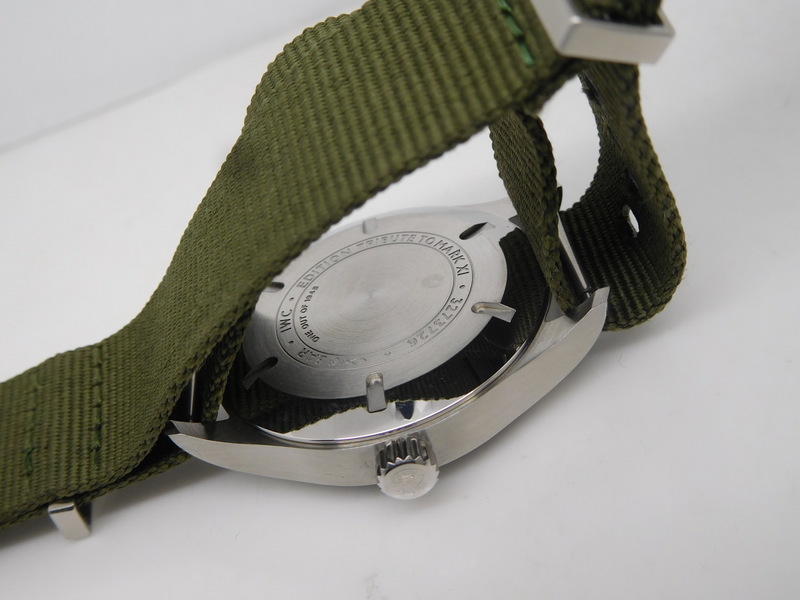 So I borrowed this replica watch from the factory and took some photos to share with you guys.